Dortmund, who can seal qualification against Sporting, look set to battle Real Madrid for top spot in Group F.
Borussia Dortmund will hope that reaching the knockout stage of the UEFA Champions League can help get their Bundesliga campaign back on track as they entertain Sporting Clube de Portugal on Wednesday (kick-off 20:45CET/19:45GMT). Still not signed up for Official Fantasy Bundesliga? What are you waiting for? Join our Autumn League now! So far, so good for Dortmund in the Champions League. Afterthumping Legia Warszawa, holding defending champions Real Madrid CF and battling past Sporting a fortnight ago, Thomas Tuchel's side are on the verge of booking their place in the knockout stage. Another victory over the Portuguese club at SIGNAL IDUNA PARK will guarantee their passage to the Round of 16. That would provide a welcome boost for the Black-and-Yellows, who have gone off the boil in the Bundesliga in recent weeks. Defeat to Bayer 04 Leverkusen was followed by draws against Hertha Berlin and FC Ingolstadt 04, with BVB needing late equalisers to salvage a point in both games. The Revierderby, while absorbing, also ended in a stalemate – stretching Dortmund's winless run to four top-flight outings. Saturday's trip to rock-bottom Hamburger SV – just ahead of the international break – looks like an ideal opportunity for Dortmund to bounce back. First, though, they will be looking to ensure that their European campaign continues through to the spring. Watch: USMNT star Christian Pulisic insists Dortmund will turn things around. Sporting are also going through a rough patch in the Primeira Liga, with only a single win in five outings. They have never won a game in Germany, losing on 11 of their 12 visits - while Dortmund have a 100 per cent home record against Portuguese sides. 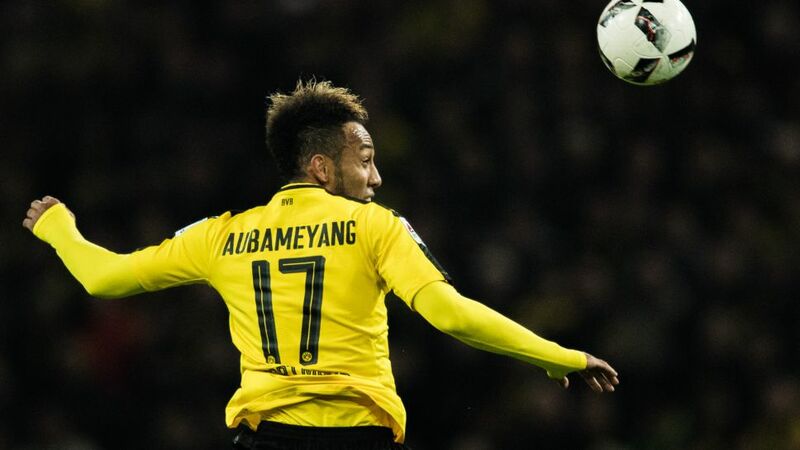 The odds are stacked in BVB's favour, then, and they will be hoping that Pierre-Emerick Aubameyang – one of five Bundesliga stars nominated for the 2016 Ballon d'Or – continues his Champions League hot streak, having netted in all three group games so far. Should Dortmund seal qualification, they will travel to Hamburg on a high, confident of getting back to winning ways against a side still chasing their first win of the campaign. Thomas Tuchel's men will then have a few days to recharge their batteries during the international break, before a mouth-watering clash against their old friends FC Bayern München on Matchday 11.